If you or a family member experienced a dental emergency, would you know how to handle it? Right away, please contact Dr. Bita Kamali, your emergency dentist at Parkway Vista Dental in Plano. The doctor will advise you on the right course of action and provide treatment the very same day if needed. She and her team give the right advice to stabilize your condition, relieve your discomfort and preserve your oral health. 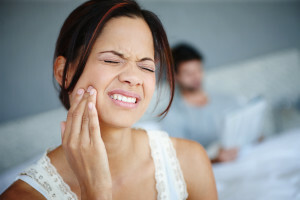 If you sustain a blow to the mouth, lose a tooth or have a throbbing toothache, call Parkway Vista Dental immediately. Your dentist in Plano or a dedicated staff member will assist you in controlling pain, preventing more damage and getting you treated as soon as possible. Nothing means more to them than your health and well-being. That’s why they accommodate pressing dental problems with same-day appointments when required. In addition to phoning your dentist, your can employ first aid measures to stabilize issue until Dr. Kamali sees you. Here are some examples of emergencies and what you can do. A blow to the face You think your jaw is broken, or you cannot stop bleeding with direct pressure within 10 to 15 minutes. This is a medical emergency. Go to the nearest hospital ER immediately. Avulsed (knocked out) tooth Grasp the tooth by the crown, and wash off any debris, leaving attached soft tissue in place. Try placing the roots back into the socket, and hold the tooth in place while traveling to the dental office. If this is not possible, put the tooth between your cheek and gum or in a sealed bag with milk or water. The American Association of Endodontists says most avulsed teeth can be replanted if you act within one hour of injury. If you lose a filling or chip a tooth, save the pieces, and bring them to the office. Abscessed (infected) tooth Take over the counter ibuprofen to reduce swelling and pain. Ice your jaw if necessary–20 minutes on and 20 minutes off. Many dental abscesses respond well to root canal therapy, which removes diseased inner pulp and crowns the tooth. Be sure to call Dr. Kamali at the first signs of infection (drainage, pain, fever). Be proactive to avoid dental emergencies. Wear a customized acrylic mouthguard during sports to protect your teeth and gums. Don’t bite into hard items such as ice cubes. Call the office at the first sign of a problem. Also, practice good dental hygiene at home. Brush twice a day, and floss daily. Visit Parkview Vista Dental semi-annually for an exam, cleaning, and X-rays. Dr. Kamali wants to prevent dental problems or uncover them while they are small and easy to treat. Contact Parkway Vista Dental immediately with your pressing dental issues. Count on being helped the very same day. Dr. Kamali and her staff are devoted to their patients and to the Plano community. They will make you comfortable and restore your oral health.